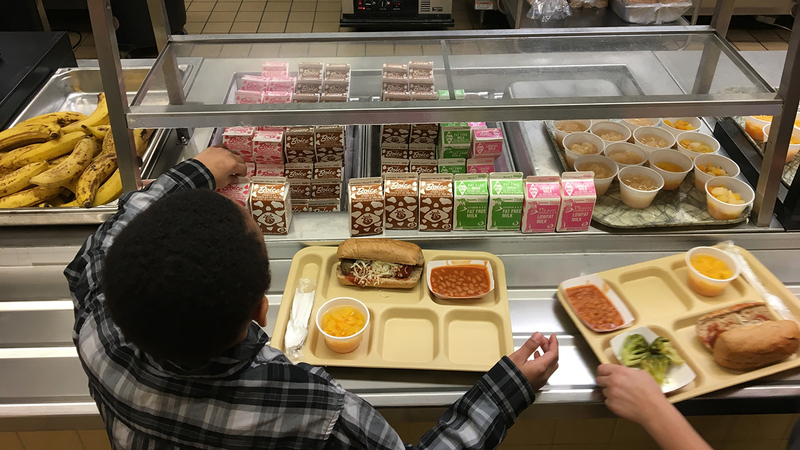 Ashley C. Ford felt driven to act by a sad fact of life in the nation's school cafeterias: Kids with unpaid lunch accounts are often embarrassed with a substitute meal of a cold cheese sandwich and a carton of milk. Ford, a New York writer, appealed to her 66,000 Twitter followers with a solution. "A cool thing you can do today is try to find out which of your local schools have kids with overdue lunch accounts and pay them off." In the nearly two months since, people around the country have been inspired to donate thousands of dollars to erase debts owed by parents that can follow kids throughout their school careers. In Minnesota, an online fundraising effort has paid almost $100,000 in lunch debt in Minneapolis schools and $28,000 in St. Paul's. Donors, mostly anonymous, erased $6,000 in debts in Topeka, Kansas, $2,000 in Bellevue, Washington, $1,200 in Wilmington, Delaware, and $900 in Herminie, Pennsylvania. "It really hit home for me," said Kristina Arwood, of Evansville, Indiana, who launched a campaign that raised $20,000 to pay lunch debts in her region. "I grew up on free and reduced-price lunches, but even that 40 cents was hard to get together with four kids. There were times I wouldn't eat because I didn't have money and didn't want to be labeled as the poor kid." Jill Draper, a yarn maker in the Hudson Valley town of Kingston, New York, said she was inspired by Ford's tweet to collect money toward the $6,000 in debts owed by 600 students in her city's schools. "It seemed like a really easy way to make a positive difference locally," said Draper, who has no children. "It's amazing how one tweet became this crazy movement." Draper said the effort drew some criticism from people who said some of the money is owed by parents who can afford the $2.50 for lunch but let their accounts run into the red. "But the response has been mostly positive, with really sweet notes from people who donate," she said. This Jan. 25, 2017 file photo shows a lunch served at J.F.K Elementary School in Kingston, N.Y.
Children from the poorest families get free or reduced-price breakfast and lunch. But some struggle to pay even reduced prices, and some families who would qualify for free or reduced prices fail to fill out the necessary paperwork. Some of the IOUs come from kids who simply forget their lunch money or parents who can afford to pay but neglect to keep prepaid accounts up to date. Most school districts allow children to run a tab for a certain number of meals if they come up short. Others give them an alternate meal of a cheese or peanut butter sandwich and fruit. If parents ignore school notices about their child's overdrawn lunch account, the debt may be sent to a collection agency. Ultimately, taxpayers may have to cover it. According to a 2016 survey of 1,000 school meal program operators by the School Nutrition Association, about three-quarters of districts had unpaid student meal debt at the end of the last school year, an increase from just under 71 percent in 2014. The median amount of debt per district was $2,000, but it can run much higher in large districts - up to $4.7 million, according to the association. "It's unrealistic to think donations are going to fix this problem for school districts," said Diane Pratt-Heavner, spokeswoman for the association. "It's going to continue to be an issue until we get universal free meals for all students." It's not the first time Ford's tweets helped inspire an outpouring of public generosity. In 2014, she was among the first to tweet support for the public library in Ferguson, Missouri, amid tensions over the police shooting of unarmed 18-year-old Michael Brown. That social media campaign brought in $450,000 in donations. Ford, who contributed to a school debt GoFundMe drive herself, said her real aim was to inspire a bigger wave of community giving. "I sincerely just wanted to think of something really easy that people could do to make a difference locally," Ford said. "It was just one idea; another school might need help with uniforms or tutoring. The point was to do something that helps people in your community."